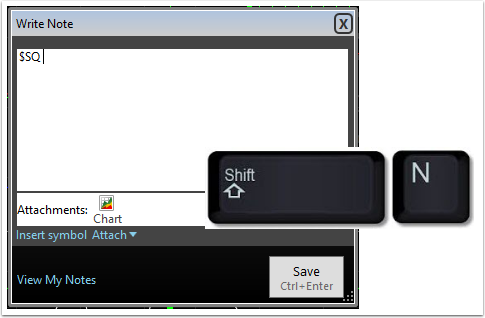 Click Shift + N (hold the shift key down and press N on the keyboard) to open a blank notes window for the active symbol. The ticker symbol (with the $ sign). 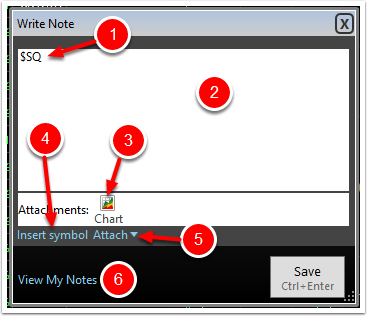 Creates a live link so that the note automatically appears anytime the symbol is selected. 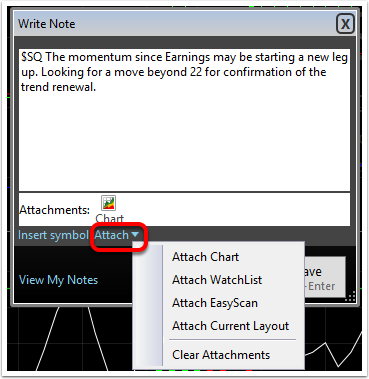 Also, click on the symbol in an existing Note to make that stock the active symbol. The text field. Space to record desired information can be written. The attached chart. 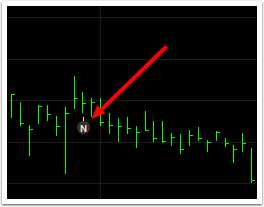 The note automatically attaches the chart as it is being viewed for future reference. The Insert Symbol link. 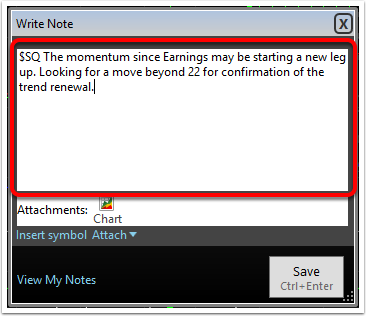 Click to insert a linked symbol into the text of the Note. The Attachments drop down. 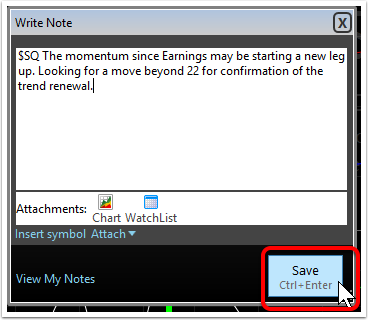 Click to add another chart, Watchlist, EasyScan or Layout to the Note. The My Notes feed. Click on the link to open the My Notes stream with a full list of all personal notes. Hover the cursor over the Note marker to see note details.